The utmost sensitive microphone allows speaking quietly and still being clearly heard by interlocutors. 3-year warranty. 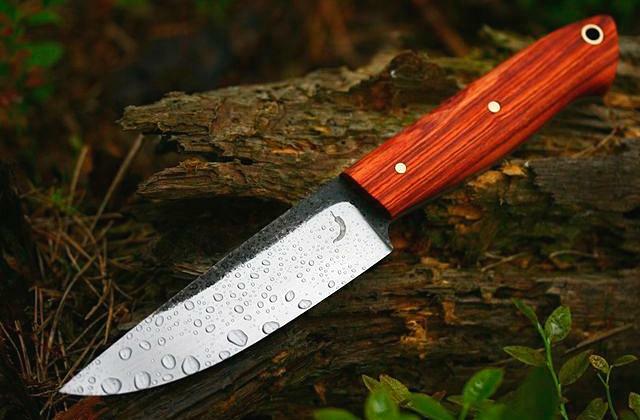 Made of durable quality plastic. 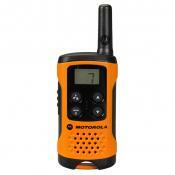 If it is used in the forest or mountains the communication range is limited to 5 miles. 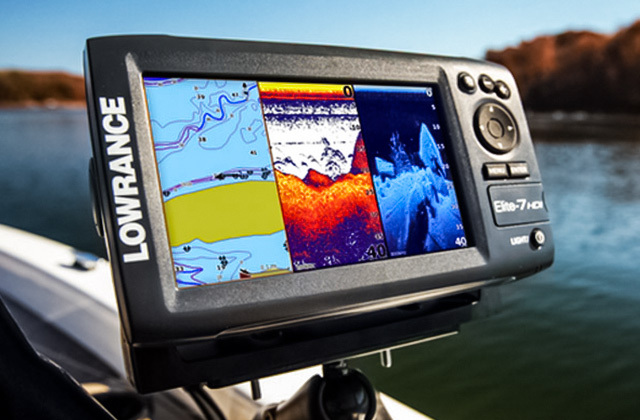 The extraordinary long range and rugged waterproof body make this system perfect for the outdoor use. It also maintains a stable communication level in urban areas congested with various buildings. The channel protection offers security of your communications, while the Quiet Talk feature will allow you to filter all the other radios to speak with fellow Motorola owners much easier. The call tones are getting annoying quite fast. The portable radios from Motorola are one of the best solutions when it comes to continuous communication. 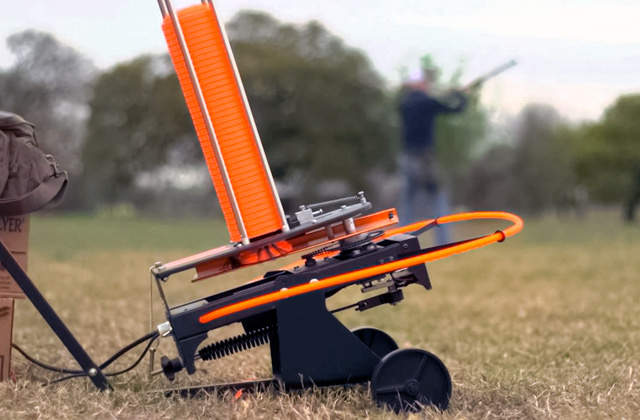 A long-lasting rechargeable battery coupled with long-range capabilities of the device offers an unrivaled level of reach not only outdoors but also in the city. A great pick for going wide and sounding clear. A simple yet convenient user interface paired with minimum number of handles and switches make the radio simple to use. If you are looking for a prime set of multiple FRS units, look no further. 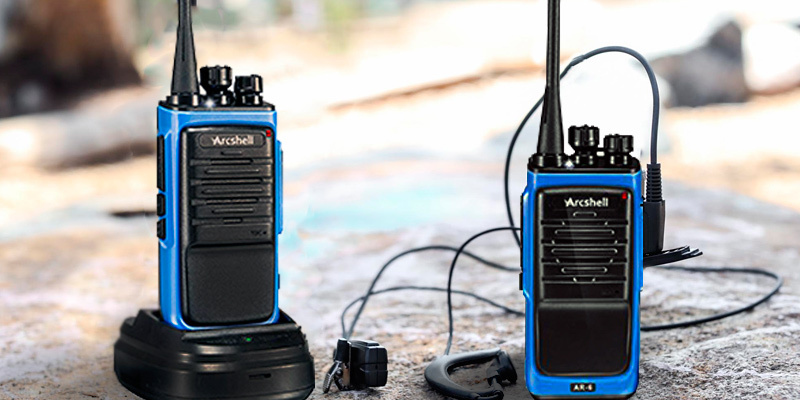 The Archell AR-6 is a good choice for the whole family or your staff since it features 4 powerful radios that can work at a distance of up to 7 miles away from each other. 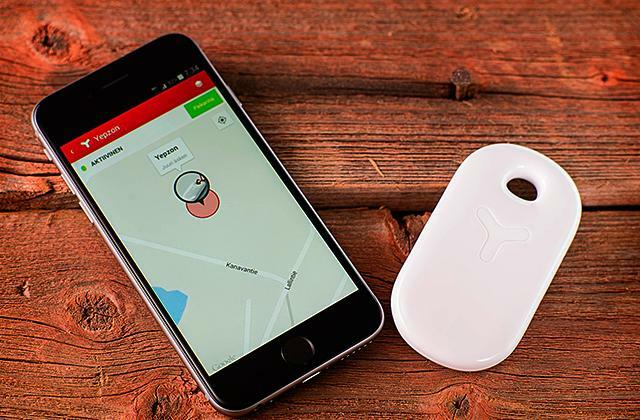 You can use it while out and about or for security reasons, especially since it's easy to master. The eVOX feature allows for sending voice messages without pressing anything: the device automatically detects sound and switches to the send mode. The battery level indicator doesn't show the charge level correctly at times. 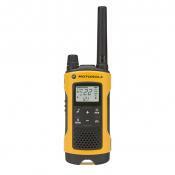 If you are searching for a professional portable radio that has all the premium features and is reliable at the same time you should definitely consider this model. 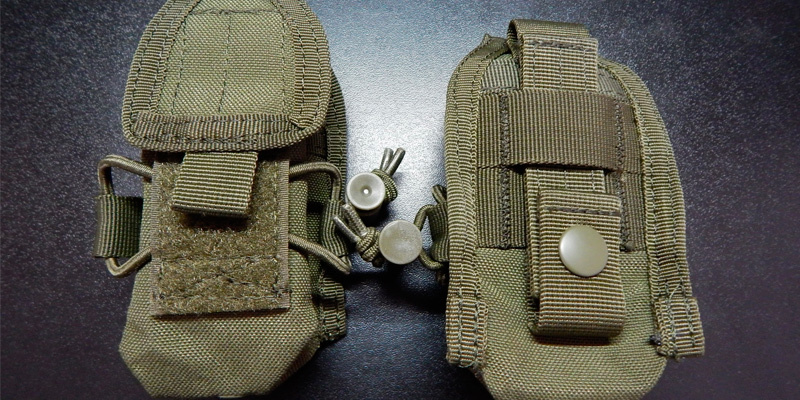 The two-piece kit can be set for various situations from outdoor camping to mountain skiing. Besides, it's reasonably priced and doesn't lag behind the high-end models too much. Combines wonderful functional and operational features with a reasonable price; might be actually unrivaled in this price range. This device might make an impression of being too complex to use. 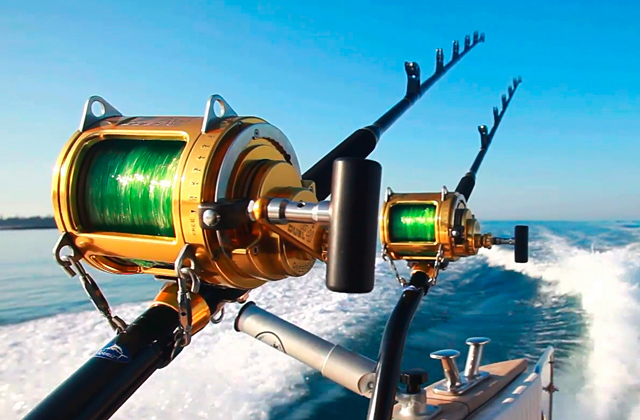 Supporting a vast range of available frequencies and channels, and full of various functions this device will be the best choice for fishermen, sailors, rock-climbers and common tourists. 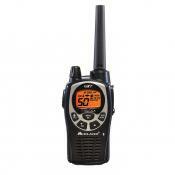 The Midland GXT1000VP4 radio has an impressive range of operation reaching up to 36 miles with the 5 W transmitter. 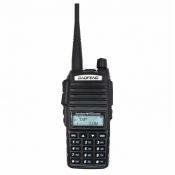 It gives you up to 50 UHF channels compliant with the FRS and GMRS standards in the frequency range from 462.550 to 467.7125 MHz. But you should be aware that to use GMRS channels, you must get the FCC license. 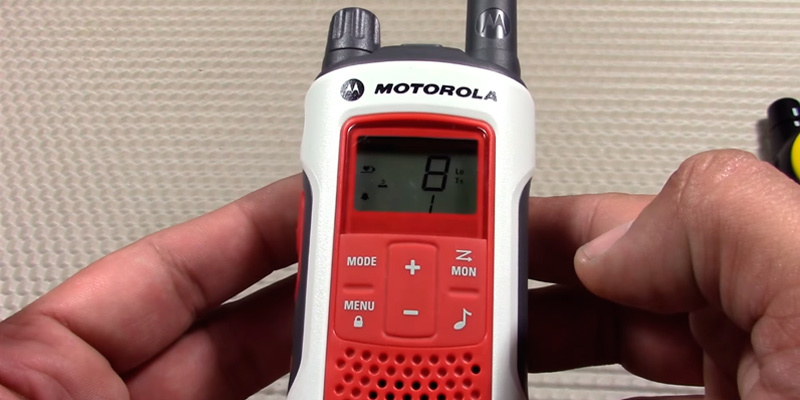 We would like to draw your attention also to the fact that walkie talkies with this range of frequencies show the maximum communication distance in the open field or on water, but in the city, forest or mountains its coverage is much smaller and makes approximately 2 miles since the ultra-short radio waves can not round up obstacles on their way. In the course of testing, these multi-functional Midland GXT1000VP4 handsets demonstrated great resistance to the raindrops falling on their bodies, thus proving to be actually reliable and trouble-free in respective weather conditions and confirming their compliance with the JIS4 standard of exposure to water. 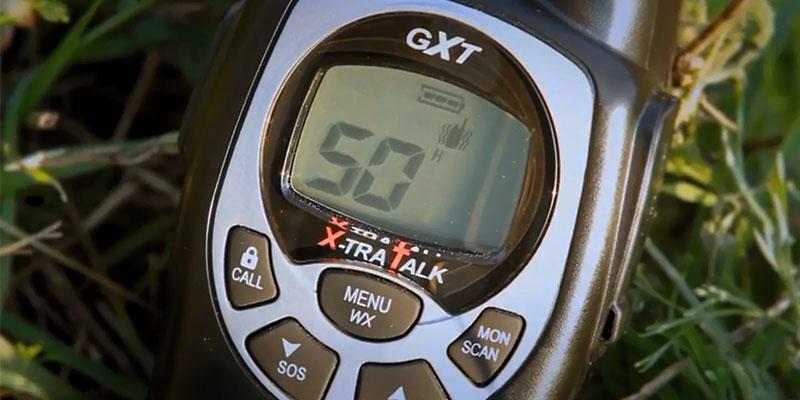 Midland GXT1000VP4 walkie talkies have access to the NOAA weather radio channels alerting you about the severe weather conditions round-the-clock and keeping you informed on any actual weather changes. In case you are still impacted by the weather or any other hazard you can send an SOS signal. It is also worth mentioning that the VOX function with 9 sensitivity levels starts a signal transmission automatically the moment you begin to talk. There is no need to press the PTT button. We have noticed that this function works both with a headset and without it. We also liked the Auto Scan function, which automatically checks channels for any activity or communication; this feature might be very useful in certain circumstances. This radio has extra features of vibrating alert, keypad blocking, and ringtone selection with 10 pre-installed melodies that can be assigned to various callers and channels. In long distance hikes, you may benefit from using the battery save mode that allows you to maintain the communication range stable and conserve the battery power. It is a great option for a group hiking. 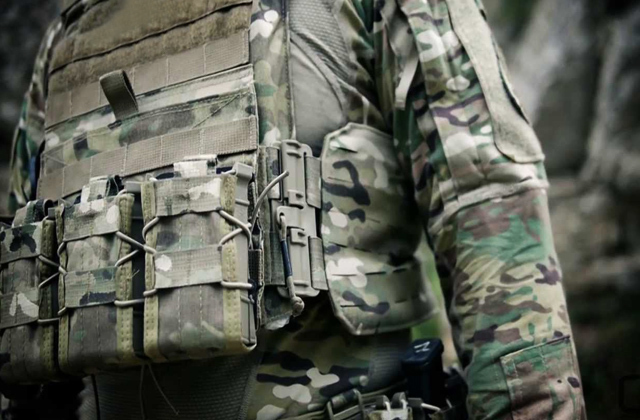 Condor HHR pouch is a bag used to protect the radio from external impacts and make carrying it more comfortable. For these standard radios I feel the distance was up to pair with similar devices. The clarity was awesome. Much better than what was expected. Comes with everything you could need including a 12v adapter for the charger base. After a 10 hour day of wheeling the battery level only dropped one bar. A perfect device to take with you on the adventure regardless of your hobby, fishing, skiing, snowboarding or even mountain climbing - the Talkabout T460 is a convenient way to communicate with other people when the cell network is limited or completely absent. 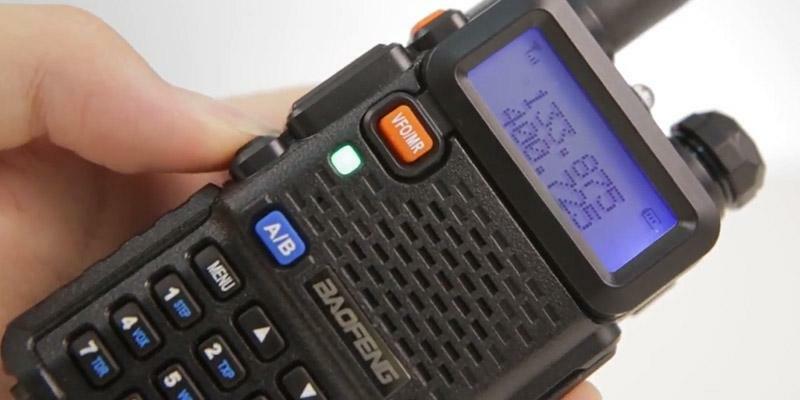 The two-way radio transceiver supports FM frequencies and can be used as a regular radio, which will be convenient for those not using the device as a walkie-talkie all the time. 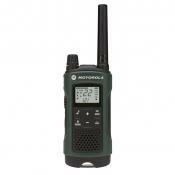 Additionally, the Motorola T460 officially supports the NOAA weather channels that will come in handy for virtually everyone who will use this model to hear the weather forecast before going camping or hiking. The body of the device has a powerful flashlight, which will definitely come in handy more than once during prolonged trips or hiking. Moreover, the strong housing of the radio has an IP54 protection rating, which basically means that this model is completely safe from water from any direction. Meaning that you can safely use the gadget during rain or snow, however, in case you douse it in some sort of liquid it might not work properly after that and will require maintenance. The operational range of the Talkabout T460 can reach 35 miles, which is quite impressive for such a small device. Depending on the terrain and weather conditions, this range can vary quite a bit and the main factor, in this case, is the current charge level of the battery. Speaking of batteries, the product can be powered by both AAA and NiMH battery types. The main advantage of the NiMH batteries is that you can recharge them, while the AAA batteries allow the device to work almost three times longer. 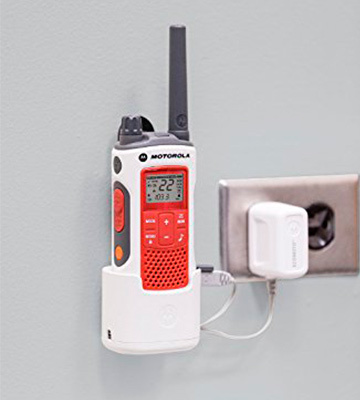 The operating time of the radio with the NiMH on board reaches almost 10 hours, on the other hand, the AAA batteries will provide enough power to the walkie-talkie to work continuously up to 26 hours. If the battery is fully charged, it will transmit and receive the signals without breaking a sweat. Otherwise, if the battery has been significantly drained, the device may not receive the signals as crisp as with the full battery. Still, it's just a bit of interference and the signal never gets too bad or straight up unintelligible. 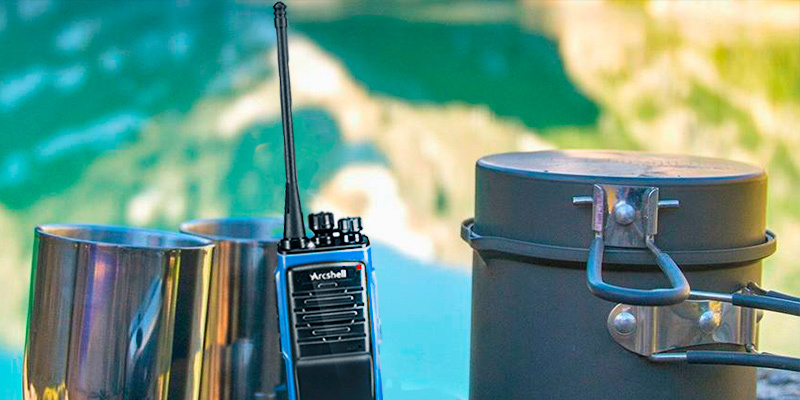 The kit comes as a two-piece, both of the radios can be used as a receiver and a transmitter and, considering the fact that this model has one of the longest operational distance ranges on the market, this kit will definitely be a great pick for any camping enthusiast. In the end, this battery operated, USB rechargeable unit that features one of the longest range of operation is, perhaps, the best walkie talkie in its price range today. Rugged. Not afraid of water. 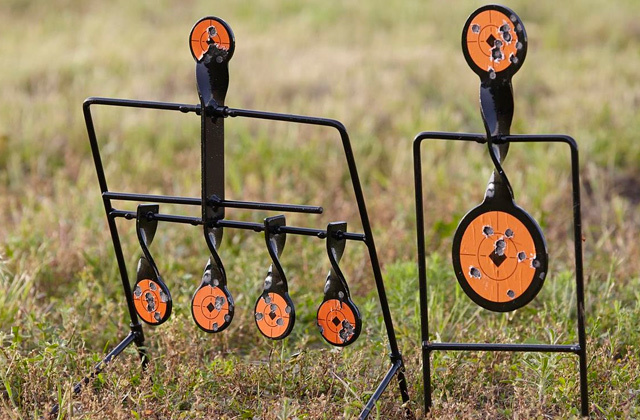 Good sound, good range. They keep a charge for a very long period during constant use. 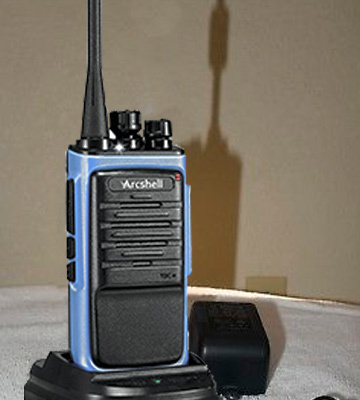 The Archsell AR-6 is a set of four two-way long range radios. However, we should clear up that the long range part doesn’t mean the device will work at great distances away from each unit. To be more specific, it basically means that the frequency range of the device uses long waves in order to not interfere with other channels that the device may receive during operation. 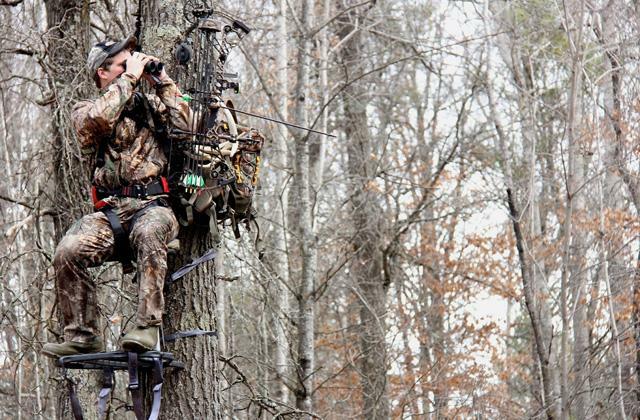 That way the signal is clearer and never drops off. Each unit from the set is supplied with a handy headset that can be used independently of each other. The main selling point of the headset is the ability to utilize the radio in a hands-free mode, which makes it convenient for use for security tasks or communication between workers in warehouses. The operational range of each radio barely reaches 5 miles, and thus, this model is not suitable for hunting or camping purposes. On the bright side, however, under normal weather conditions without obstacles, the communication is possible at 7 miles or more. This feature makes the kit extremely useful at construction sites, malls, warehouses, and anywhere where you might need a private communication network. This model doesn’t feature a digital screen, which is a bummer, to say the least. Since there are no means to see the frequency and the channel due to the lack of visual cues the user must rely on the dials and audio hints while changing the modulation and frequencies as well as the channels. In case you need more than four radio pieces for any reasons, you may face some issues with pairing all of the devices by yourself. That's because the firmware is programmed differently for each set in order to not interfere with frequencies of similar products that can be used in the close vicinity of the AR-6 units. This can be easily fixed, though. All you have to do in order to make your own network of 5 or more devices is to get in contact with tech support that will help you program the radio units using a simple USB cable and computer. Other than that, the AR-6 acts really great as a standalone kit that is reliable, easy to use, and has a small weight and thus can be utilized by anyone from a small kid to an adult. 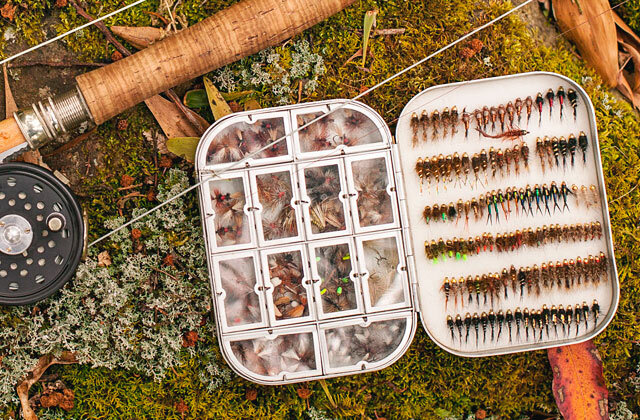 The kit offers a great versatility, and each piece just screams high-quality and reliability, thanks to the always stable connection between the units and great, durable materials of the housing. 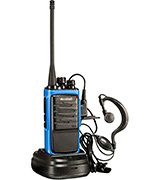 All in all, this GMRS will be more suitable for personal or corporate use at small sites rather than for snowboarding or skiing, due to the short operational range. But it's one of the best at what it does and an easy tool to master. 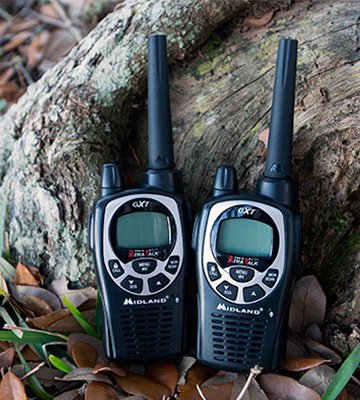 The Midland LXT630VP3 is a two-piece family radio system that can be easily used by both amateurs and professionals without any prior experience in radio communications. 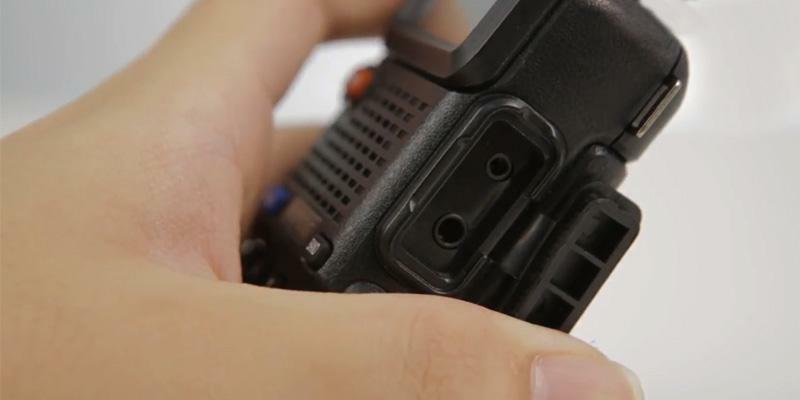 Each device in the two-piece kit features low and high power modes that allow for maximizing the effectiveness of the walkie-talkie. To expand on that, the low power mode allows the radio to conserve the battery charge when it is close to being completely drained while operating on the same distances as if the radio was fully charged. This is achieved thanks to a lower quality of the sound that is transmitted and received by the gadget. But don't think that the decline is that significant, the signal and the sound will be heard and understood on the other side of the line without any problems though you might have to listen a bit more attentively. There are quite a few security precautions that you can use in order to protect your conversations. The 121 code combinations of this FRS offer a huge number (over 2000) of secure channels that will neither be heard or interfered by other radios. This makes it a great pick for security teams and those who'd prefer to keep their chatter hidden. What makes this model stand out, though, is the option to turn off all sound notifications and audio cues. 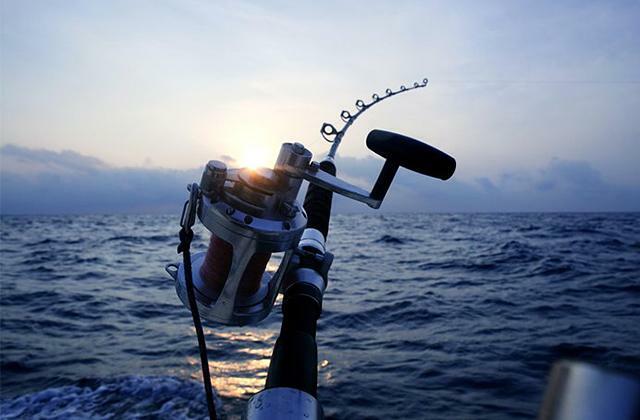 It might not sound that impressive but this ability of the radio is proven to be crucial for both fishermen and hunters. The latter will be glad to know that this feature can be turned on with one single push of a button. After that is done you will no longer scare your animal of choice away due to annoying beeping of the device or, what’s even worse, chatter on the channel. That is definitely a nice addition to an already great model that other similar radios could use since it gives the hunter an element of surprise over the game. 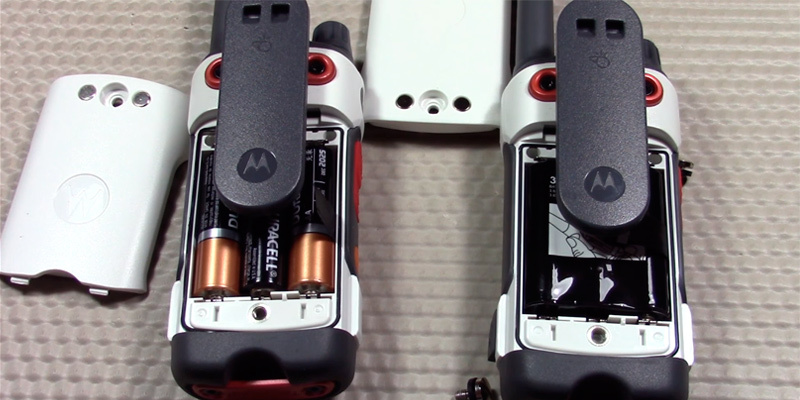 The kit comes supplied with two rechargeable NiMH batteries, two chargers, and two clips that you can use to attach the radios to your belt or other pieces of clothing. 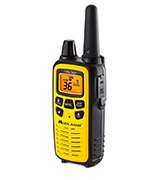 As for the power source, the radios can be powered by both NiMH and AAA batteries, which makes this model adaptable to different circumstances. The operating time of the device varies, depending on the battery type of your choice. While the NiMH will provide you with 8 hours of continuous communication the AAA ones can power up the radio for up to 20 hours, which is quite impressive for a 5W device. 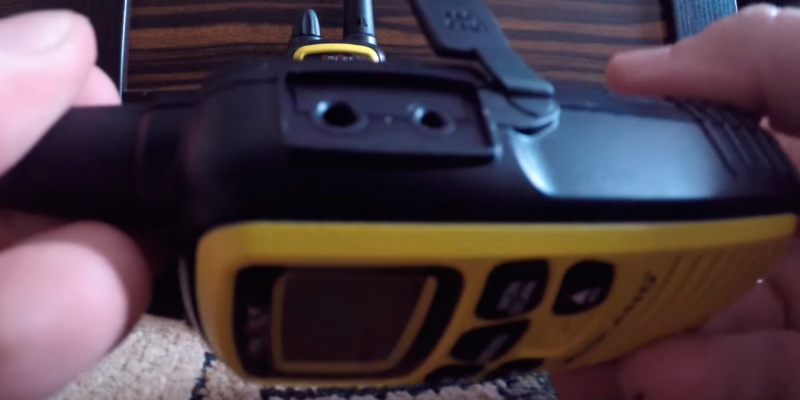 Frequency and power aspects aside, let’s take a closer look at the communication range of these little radios. 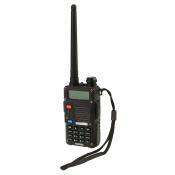 The heavy-duty radio is capable of transmitting and receiving the signals at a distance of up to 30 miles. The distance, of course, is limited by the terrain and weather conditions and may thus vary slightly from the optimal numbers. Additionally, the device has a special voice-activated transmission mode that allows you to utilize the radio absolutely hands-free. Finally, the Midland LXT630VP3 is a good choice for both hunters and campers, thanks to the waterproof housing and an excellent level of stealthiness it offers. We bet you’d struggle to find the radio with the same set of functions and at the price as low as that. 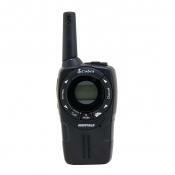 Made of heavy duty plastic, the BaoFeng UV-5R walkie talkie is extremely handy in use. 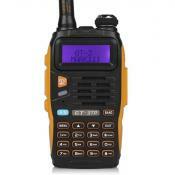 It is highly responsive to the VOX function, so you can talk with the others hands-free. On top of the other basic functions, the radio set features the auto keypad lock so that a chance of changing a channel or complete radio reset is reduced to none. 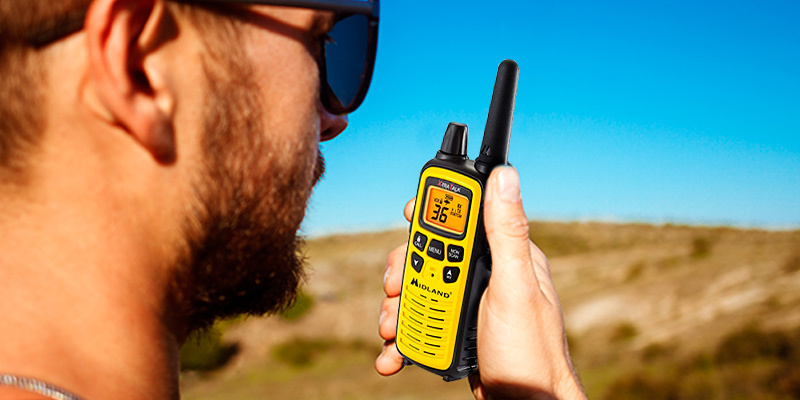 Like most other walkie talkies on sale, BaoFeng UV-5R connects to NOAA Weather Channels so as to inform users of all weather changes and alert to any hazard. Yet, there’s something more you’d not expect has been included to enhance users’ experience - FM-receiver. 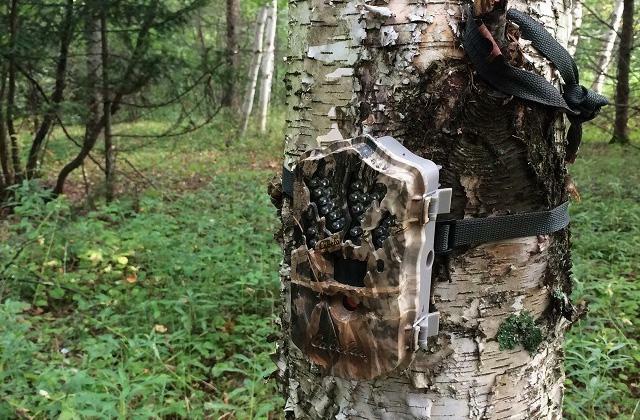 Now you can not only talk to other people but also listen to local broadcasts and your favorite FM-stations while walking through the wood or fishing in a brook. 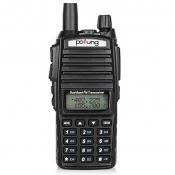 We would like to draw your attention to the fact that the BaoFeng UV-5R radio is operating in the commercial frequencies of the VHF/UHF-range actually supporting the narrowband transmission including the splinter channels that makes it a unique multi-functional device in this price range. 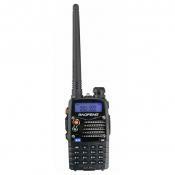 It provides you with 128 accessible channels with the selectable frequency step of 2.5, 5, 6.25, 12.5, 20, or 25 kHz allowing you to use the radio anywhere without interferences to other transmissions. The maximum power makes 4 W securing the communication range of 9 miles. 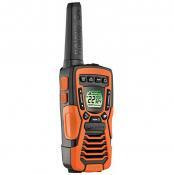 This transceiver features several convenient functions including the backlit dual LCD display and a keyboard visible both in the light and darkness, and the flashlight that may come in handy anytime. 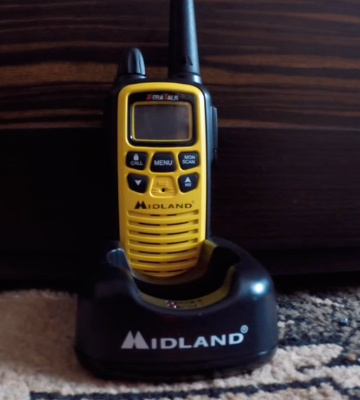 The radio also features a removable antenna, which can be replaced with an aerial to extend the range of communication or improve clarity of a sound. Authentic genuine nagoya NA-771 15.6-inch whip VHF/UHF (144/430Mhz) antenna SMA-female allows you to substantially increase the transmission range and signal quality. On using antenna, communication quality will be less affected by interferences and the signal will be more powerful in urban, mountain, or forest areas. 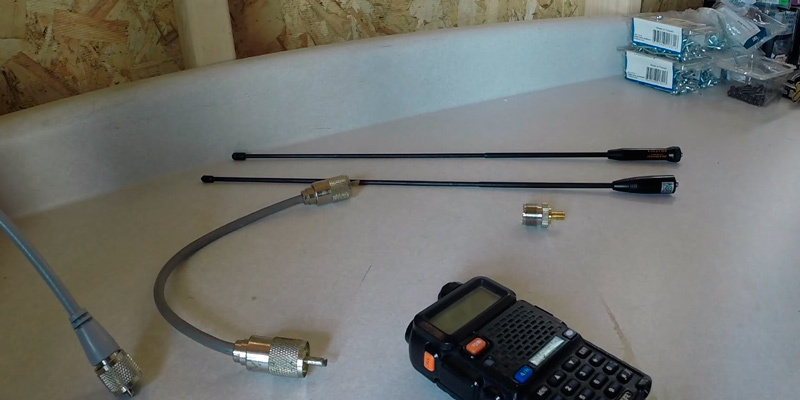 Reception and transmitting are both good with the stock antenna. 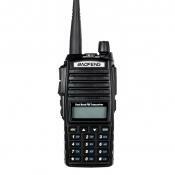 The BaoFeng radio is solid, small, comfortable to use, has cool voice menu operation, supports FM Broadcast frequencies. The unit itself has felt solid and performed well, with the stock battery offering days of monitoring and learning worth of charge. It happens frequently that you need to maintain a constant communication with your colleagues or buddies either on the job or during leisure time. Usually, you rely on a cell phone for this purpose. But it is not always convenient and the tariffs of mobile operators may be relatively high. That is why many people still fancy walkie talkies. 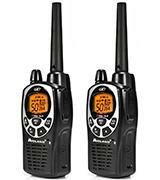 These radios are used by people of all professions: security guards and police, taxi drivers and truckers, sailors of merchant ships and private yachts, construction workers, and foresters, office and warehouse staff, sportsmen, etc. 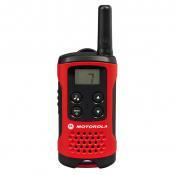 Recently, radio handsets became common among fishermen, hikers, and campers. 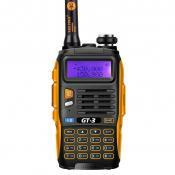 This particular type of communication turned out to be so popular because walkie talkies do not require any area coverage by cellular base stations, satellites or other telecom transmitters. Two or more parties can communicate with each other free-of-charge within the range of a stable connection limited by the power of transceivers used. If you like active leisure, fishing, mount climbing, or forest walks you might also be interested in headlamps. The advantage to using a headlamp is that it allows for lighting up the way hands-free, which is handy if you have some other gear to drag behind you. The first important feature of these radios is the Frequency range. 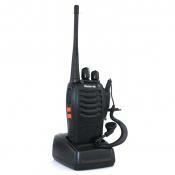 The majority of walkie talkies operate in VHF and UHF channels. 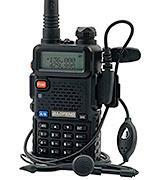 VHF (Very High Frequency) channels use the frequencies from 134 to 174 MHz. The signal has an average penetration rate. 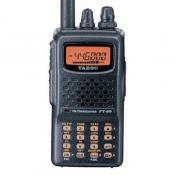 This range is recommended for radio communication in the rural areas. As a rule, radio stations used for these purposes are bulky and have long protruding aerials. UHF (Ultra High Frequency) channels include the frequencies from 400 to 470 MHz. 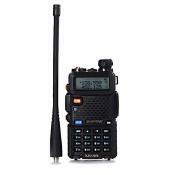 Radio sets operating in this frequency range due to the high penetration rate of transmitted radio waves provide you with a reliable connection in the urban environment, inside of buildings, and in other areas with many obstructions. 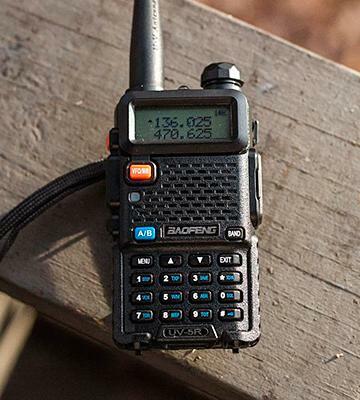 Before buying a transceiver you should collect information on the licensing of certain frequencies in your region or state. There is also the FRS standard (462.5625 – 467.7125 MHz), which is applied to a license-free mobile short-range radio communication in the North and South America. This standard limits the power of stations allowed for use in the USA to 0.5 W maximum. There is a total number of 14 channels with 0.25 MHz frequency steps available. 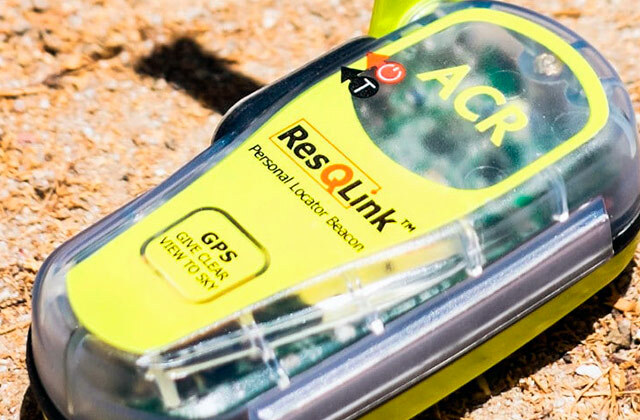 In a rugged country, woodlands, mountains, and for the marine use you should stick with transceivers of an LB channels' 30 through 50 MHz frequency range or VHF channels' 136 through 174 MHz frequencies. One more decisive feature of a great impact is its communication range. This range is restrained by the power of receiver and transmitter of a particular radio station, and by the frequency used for communication. Usually, the figure announced in the manufacturer’s manual is valid for perfect conditions only (sunny weather, open ground without obstacles, the absence of power transit lines and other sources of interferences) and varies from 20 to 30 miles, but in fact, the actual range in a real environment might be smaller. You may also be interested in Extra Features proposed by manufacturers. 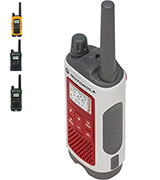 Many portable professional radios are highly resistant to external impacts and feature water-resistant bodies, for example, and comply with specific standards. Your station might be protected from raindrops or water splashes, and even after a submersion it can keep you in contact with your communication partner. 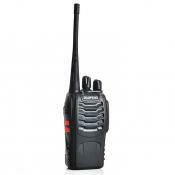 It is also common to provide a walkie talkie with the VOX function meaning its voice activation through the built-in microphone or the iVOX function, i.e. activation via the headset mic. The transmitter starts working when you begin to talk. And you do not need to keep Push button pressed to talk. This is especially convenient if you are driving or holding on to a climbing rope, or paddling in the boat — you can talk and continue doing what you need at the same time. Some radios allow storing communication channels in the memory and setting special ringtones for selected channels to know who is calling you. Finally, you should take a look at the Design and Convenience of radios since the materials, weight, controls and assembly may differ substantially. A decision might be based on the availability of informative display reflecting all necessary information, the possibility to replace the pre-installed antenna with a more powerful one, the location of buttons and controls on the case, and the ergonomics of the handset in general. The station may have a belt clip and a wrist strap to prevent its accidental dropping. 1. What are Walkie Talkies? wiseGEEK. 2. Natan Chandler How Walkie-talkies Work? HowStuffWorks. 3. Walkie-Talkie, Wikipedia. July 23, 2016. 4. Shannon Morel What Should One Consider When Looking to Buy a Walkie-Talkie (Two-way Radio) System for Business Use? Quora. October 24, 2011. 5. Chris Woodford Walkie-Talkies, ExplainThatStuff. March 9, 2016. 6. 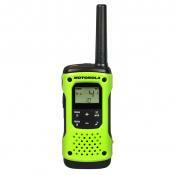 Jeremy Laukkonen How do I Choose the Best UHF Walkie Talkie? wiseGEEK. 21 July 2016.